It was just Thanksgiving last week, right? Oh, wait, Christmas is this week. That means I have to get into high gear for cookie baking and prepping Christmas Eve dinner. Time has flown by so fast, and I’ve been curling across the Midwest and up in Canada. No matter where I am, I am drawn to local bakeries to see their holiday offerings or talk about baking traditions from local hosts. Home baking soothes me, calms me—even if I bake at 2:00 in the morning listening to dance music, my bake rave time. Measuring ingredients, creaming the fats and sugars, rolling out dough, cutting shapes; I just love it all. Cookie baking is my passion. Cookies are the best to share with friends and family. This year I wanted to bake something new and something old, so here are recipes for Salty Dogs and Michael’s Classic Scottish Shortbread. The inspiration came from Michael and my friend Lisa Ludwinski, owner of Sister Pie in Detroit for these two cookies. After months of the Friday Cocktail Hour posts, I was thinking about all of the citrus cocktails that were made and how I could make one into a cookie. I knew I wanted it to be citrus based. It did not take long for me to decide on grapefruit, then the salty dog popped into my head. A cookie with grapefruit juice and gin. Yes, please! 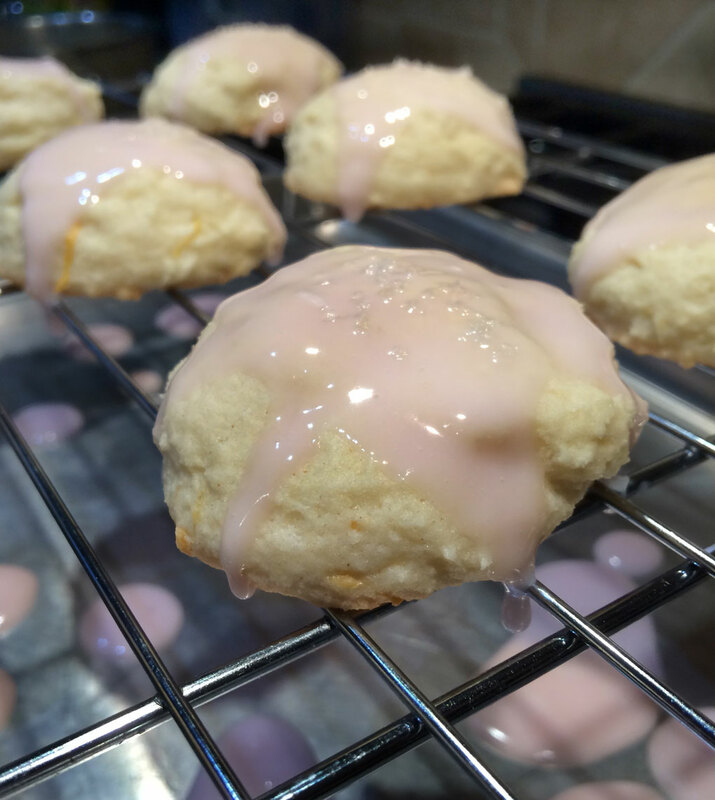 The Salty Dog cookie uses the zest and juice of the grapefruit and gin in the cookie dough. After the cookies are fully cooled, a grapefruit glaze is drizzled on top and a small pinch of salt, too. I tried to mirror the cocktail in this cookie and it really works. These cookies are light and cake-like, and all too easy to eat. Cheers! The second cookie I wanted to be traditional. Shortbread is an ideal choice, and Michael has a shortbread recipe that appears both in Ratio and Twenty. It is an all-occasion cookie, and can be eaten alone as a delightful snack or paired with coffee or tea. Light, buttery, and a bit dense; this cookie always has character. 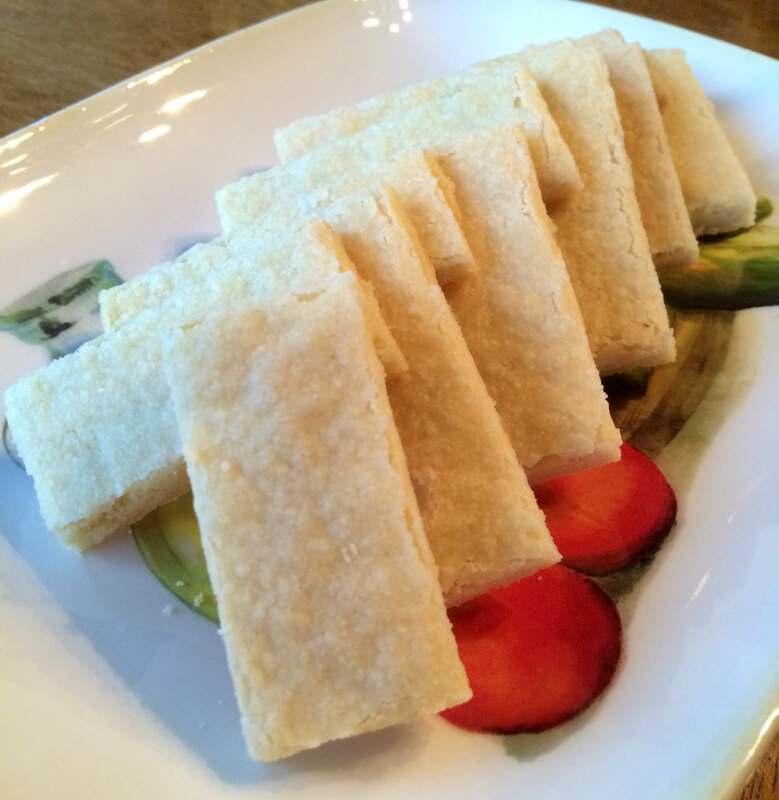 Shortbread is a simple cookie with only three ingredients: sugar, butter, and flour. The dough is a perfect base to be creative with. My friend Lisa, at Sister Pie, uses her shortbread as a canvas to create interesting flavor combinations such as a juniper, green olive, tangerine, tarragon, and buttered rum shortbread. Her recipes play with salty, sweet, and savory. Look forward to Sister Pie opening their storefront location in Detroit in early spring 2015. I hope you enjoy these two cookie recipes. Be creative and have fun baking this holiday season. In a standing 5-quart mixer with the paddle attachment, cream the butter, sugar, and zest. Paddle on medium-high speed until light and fluffy, about 5 minutes. Add the eggs, gin, and grapefruit juice and paddle until incorporated. Scrape down the sides of the bowl with a rubber spatula. Pour in the flour mixture while mixing on low speed and mix until the dough comes together. Cover the dough and let rest in the refrigerator for 5 hours or overnight. When ready to bake, preheat the oven to 350°F/177°C. Scoop tablespoon-size cookies onto a sheet tray lined with parchment paper or a Silpat. Bake until done, 10 to 12 minutes. Remove from the oven and allow to cool. Sift the powdered sugar into a small bowl. Add the grapefruit juice and red food coloring and whisk to blend. If the glaze is too thin to adhere to the cookies, add more powdered sugar by the tablespoonful. Drizzle the glaze over the cooled cookies, sprinkle with salt, and let them stand until the glaze sets, about 1 hour. Combine all of the ingredients in the bowl of a standing mixer and paddle until the dough clumps together on the lowest speed. This may take a few minutes. Press the dough into an 8-inch/20-centimeter cake pan or other baking pan. The dough should be about 1/2 inch/12 millimeters thick. Bake until cooked through and lightly browned, 20 to 30 minutes. Cut into servings while hot and allow to cool completely before removing from the pans. My past post on Holiday Rib Roast. 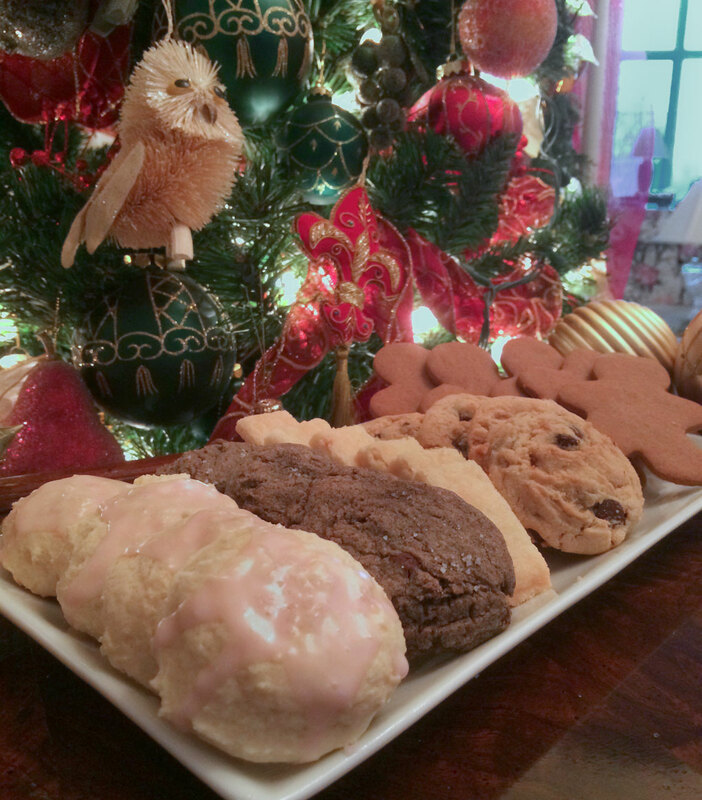 Emilia’s cookie recipes from 2013, from 2012, and from 2011. Bake a Yule Log this season using Carri Thurman’s recipe. Check out a great cookie app called Cookulus. 5 Wonderful responses to “Cocktail Cookie! Intoxication in moderation, buffered by butter and flour and sugar. A winning holiday formula. I think you’d like “The Happy Table of Eugene Walter, Southern Spirits in Food and Drink.” A contribution from the spirit world in almost every recipe, with Eugene’s whimsical genius as lagniappe. Kudo’s to you. So few recognize a true Scottish Shortbread. Try this recipe from a neighbor right from Scotland that I’ve been making for more than 50 years. They literally melt in your mouth. Chill dough at least 45 minutes. If packing into an 8 x 8-inch pan, prick all over with a fork. I usually roll this dough out to a 1/4-inch thickness and cut into pieces for a truly melty experience. 350 degree oven for 15 to 20 minutes. Store tightly covered. Freezes well. The salty dog looks like a prop for a game that we used to play as kids.